We have very close cooperation with our local partners for implementing the bus bundle solution into the market with a brand-new audiovisual experience while using the bus. 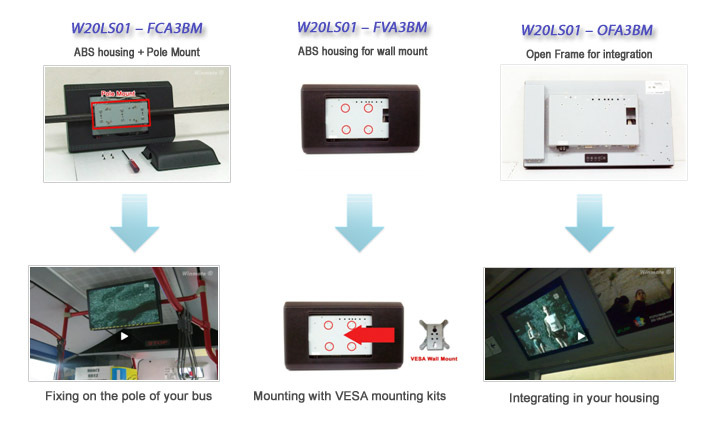 With the special designed pole mounting solution, you can easily fasten the displays tightly on the pole. 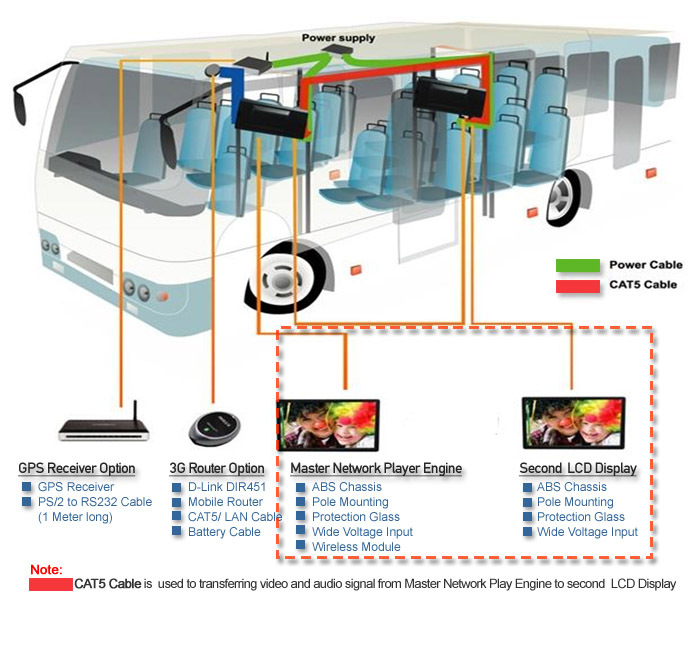 The Bus Bundle's 20.1 inch wide screen master display is embedded Single chip multimedia processor with Linux OS player engine inside and supports playback of MPEG, DivX, Video, MP3 and MPEG-4 AVI multimedia formats. Another display is located in the middle of the bus, which performs optimized resolution of 1366x 768 (HD Ready). In our standard product, we integrate WI-FI Wireless technology into the player engine. 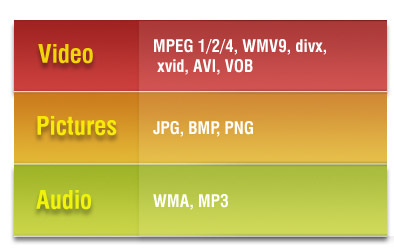 The operator can update the multimedia content wirelessly. With the optional solution also combine GPS receiver and 3.5 G wireless mobile communication, this can trigger pre-edited specific contents and RSS feed online messages when the bus is moving. This optional solution provides huge potential for new business opportunities for advertisers to raise the passengers' desires. For example, assume a fast food chain is buying the advertisements for bus bundle. The bus is moving to restaurant near by, the GPS receiver is enabling the pre-defined fast food ads. This can raise passengers' desires to buy a meal there after they watch the ads. Since we are getting more concerned about high oil price and climate change issues ,there are more and more people choosing to take public transportation to save energy and money. This means the bus passenger numbers are increasingly. We believe bus bundle solution provides advertisers a new potential product to optimize their ROI.